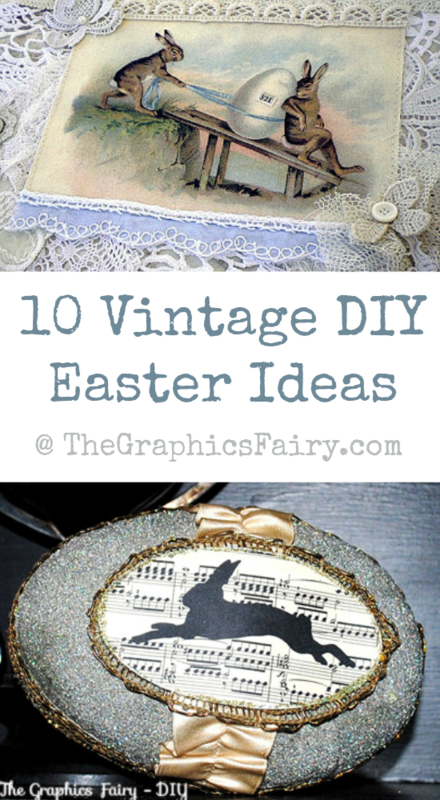 Today I’ve rounded up 10 Vintage DIY Easter Ideas! All of these pretty crafts and projects were created using Vintage Graphics from my site. 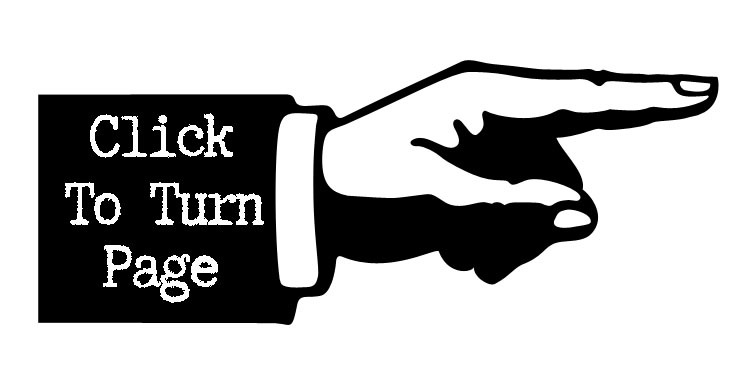 Some were created by me, some by my contributors and some were submitted by readers! I had so much fun putting this collection together, I hope these projects and DIY’s will help inspire you to create some wonderful Easter Projects! 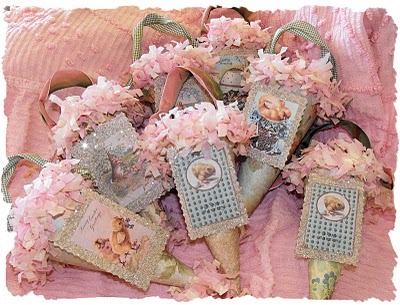 Lisa from Wild Rose Cottage shared these fabulous Vintage Easter Cones using some postcard images! They are so festive and sparkly! Just wanted to Thank You for this site..So fun to look and so many ideas (So little time) Keep up the GREAT work!!! Thank you Laura!! I’m so glad you are enjoying it! I love the graphics fairy! ! Its the best site for craft making I have ever seen. Previously I hunted around the net for royalty free images to use…but now I visit Karen and her gang. (smile) also Thank you so much for the great help with transfers.. I’m kinda nuts about those too. Aw! Thanks so much for the super sweet comment Elle!! 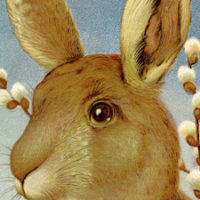 Thank you so much for including my Easter fabric collage, Karen!